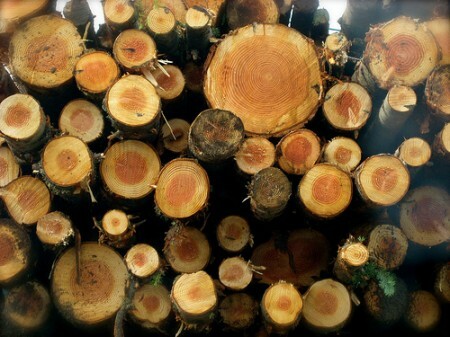 Like many environmental issues, logging is tightly bound to other problems, many endemic to developing countries (such as corruption, organized crime, poverty, environmental destruction) that are difficult to address individually, but must still be tackled with approaches that can generate multiple beneficial outcomes, such as greater transparency, better information management, the implementation and strengthening of legislative, enforcement and monitoring frameworks. As well as the creation of collaboration and information exchanges, the importance of changing consumer perspectives and demand for cheap timber and timber products cannot be overstated. A Chatham House report, Illegal Logging and Related Trade (for summary, see here), released in early July, examines the activities of 12 producer, consumer and processing countries. It highlights a number of factors that must be advanced and monitored if illegal logging and related trade in products is to be reduced. It estimates that some “20 percent of all timber and timber products on the EU market are from illegal sources.” On a global level, deforestation as a whole is believed to contribute to 20 percent of greenhouse gas emissions. In terms of deforestation, illegal logging can lead to a loss of biodiversity, soil degradation and landslides. Illegal logging generally comprises the entire chain of illegal activities related to the harvest, transportation, sale and purchase of timber. From felling protected species of trees or trees on protected land, to the use of corruption and criminal networks for harassment, transportation, tax evasion and import declaration fraud. Given this, the EU legislation does more than just ban illegal timber; it allows member states to impose criminal penalties and sanctions, and requires operators along the supply chain to declare the origins and destination of their timber products. Studies demonstrate the complexity of the problem and how essential international cooperation and collaboration is to achieving real progress, and the EU vote exemplifies this holistic approach. But, we should not forget that individuals play the most important role as consumers. The WWF has an excellent guide: Responsible Purchasing of Forest Products which helps navigate the murky waters of forest product procurement. What works best in preserving tropical forests? The new White Paper by the Institute for Global Environmental Strategies (IGES) assesses the design and impact of instruments such as forest certification, public procurement policies, and regulations to curb the import of illegal wood.